Our leadership team is comprised of experienced professionals in the construction, engineering and manufacturing industries. As a qualified Small Business Enterprise, we bring over 70 years of experience to challenge traditional thinking and create an innovative and dynamic company. They have researched the best practices throughout Europe and the United States, studied the requirements of our clients and assembled a highly skilled team to build the next evolution of pre-manufactured units in the market. Juan is a second-generation high-end residential developer in South Florida with extensive experience in manufacturing, operations, process optimization and project management in a variety of industries. With a LEED AP, a B.S. and a Masters in Mechanical/Manufacturing Engineering degrees from Cornell University and the University of Michigan, Ross School of Business, Juan serves as Neopod's™ inspiration for creating ``PODibilities™`` in todays traditional construction enviroment. His background includes Operations Manager for Procter & Gamble’s Caribbean manufacturing and distribution operations, Management Consultant for Fortune 50 corporations (industrial and financial), and VP of B2B e-Commerce implementation for a Latin American consortium of financial institutions to name a few. Most recently, Juan has led the development of multiple residential projects throughout coastal South Florida. 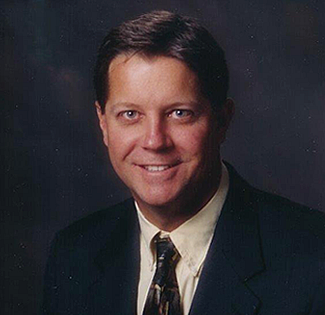 Chuck is both an industrial property developer and president of Right Way Plumbing Co., Inc., one of the largest plumbing company's in the Southeast United States; which is also ranked by the Engineering News Record (ENR) top 600 US specialty contractors comprised of all trades. 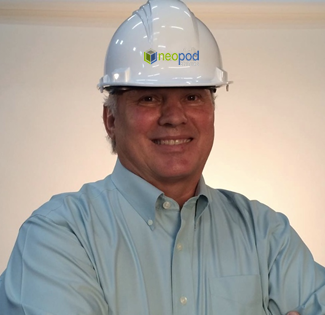 His experience as a licensed General, Plumbing, Pollutant Storage, Fire Sprinkler Contractor and Developer allow Neopod to understand the big picture. In addition, Chuck brings all of Right Way's support with experience in projects including hospitality, dormitory, medical and ACLF markets to the NeoPod™ team.